BET must be trying to prove something. Their award shows are always more miss-than-hit, so one all-star performance should make up for it, right? After getting folks all riled up with that epic Brandy, Queen Latifah, Yo-Yo and MC Lyte performance at the BET Hip Hop Awards, it feels like the music gods have seen fit to bless us with another classic collaboration on stage at the 2014 Soul Train Music Awards. Lil’ Kim’s “Not Tonight” (Ladies Night Remix) was featured on the soundtrack of Martin Lawrence’s 1997 film, Nothing To Lose. 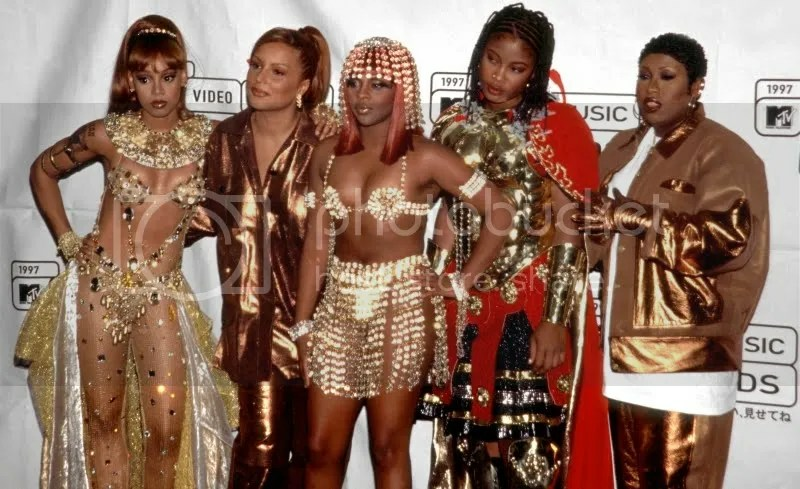 The original lineup included the late Lisa “Left Eye” Lopez and Angie Martinez. Having only performed it once together at the 1997 MTV VMAs, this is guaranteed to have everyone hyped. The Soul Train Awards will air on BET and Centric on November 30. Next Post Rumors: Did Future Cheat on Ciara With Tinashe?